The French canners first introduced the tuna canning industry in 1850. This industry did not take root in the United States until 1903 because of a shortage in sardines. Thus, the sardine shortage of 1902 in the United States propelled Southern California fisherman to look for new types of fish to can and consequently the California Fish Company was born. The demand for albacore in the East Coast caused the tuna industry to boom and fostered the rapid construction of canneries along the coast of Southern California. 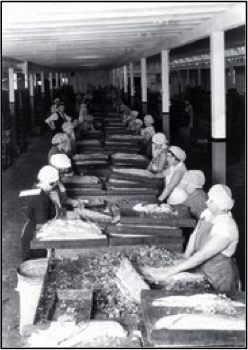 From the years of 1911- 1912, five new canneries opened in the ports of San Pedro, Wilmington, Long Beach, and San Diego. 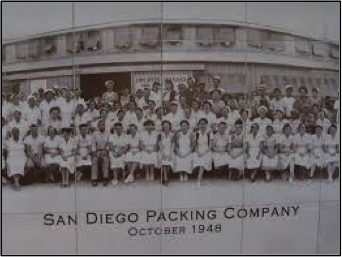 San Diego’s first tuna cannery was called the Pacific Tuna Canning Company and it was located in what is known today as Logan Heights. The community during the height of the industry, the early 1950s, was one that was very diverse and one that generated approximately $65 million for its 17,000 locals. This cannery obtained most of its albacore supply from boats ran by Japanese and Portuguese immigrants. 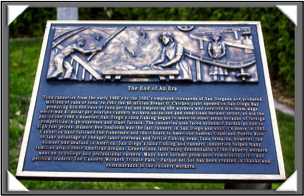 Thus, this industry supplied many jobs and brought in Italian and Mexican families as well as the Japanese and Portuguese immigrants. These immigrant families came to San Diego for the job opportunities the tuna industry brought them. 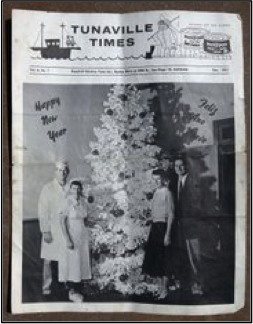 A Japanese- American, Frank Koide, whose parents were Japanese immigrants and worked in the tuna industry stated, “I worked in a cannery and also fished for a few years. I found out that the work was too hard so I went to college.” Many immigrants like Koide’s parents flocked to the area in order to support their families by working the hard labored jobs the canneries provided. The San Diego tuna industries began to decline in the 1970s because of stricter fishing regulations enacted to protect dolphins and this consequently increased foreign competition. This caused the canneries to come to a close and the community to change drastically. A member of the community, Ramon Chunky Sanchez, describes what happened to the community as follows: “When the cannery business shut down many people left the community. Slowly the community became economically diminished. These businesses kept the diversity in Barrio Logan with for example the many Italian in the community. The cannery brought many Italians into the area.” Other members of the community, Norene and Natalia Riveroll stated, “When the cannery business dismantled it was hard on the people in the barrio. This affected so many different people. Many of them were never able to find work again.” Thus it can be concluded that through the sudden loss of the tuna canning industry, the diversity and economy of Barrio Logan declined. 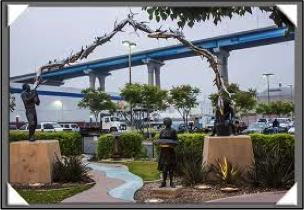 Many of the immigrants that had come to the community for the jobs the tuna canning industry had brought in left, transforming the community into one the was predominantly Latino.